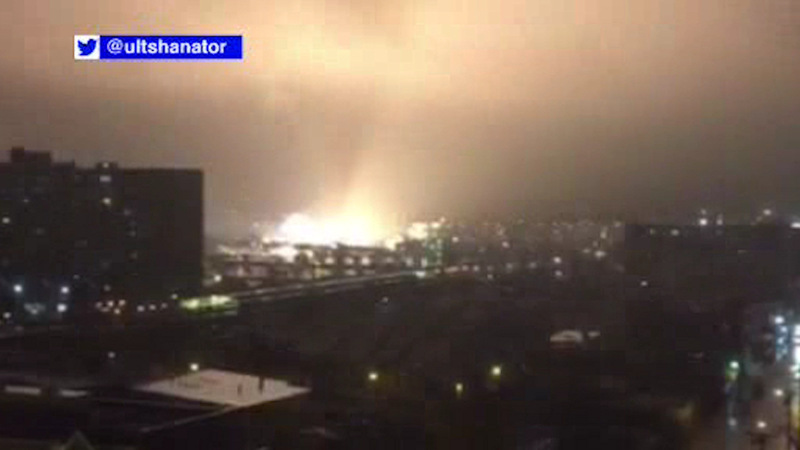 FAR ROCKAWAY, Queens (WABC) -- There was quite a light show in Queens Tuesday night, when a transformer explosion caused a power line to come down. The explosion happened around 9 p.m. at Beach Channel Drive and Beach 92nd Street in Far Rockaway. Utility crews were working into the night to fix the issue and clean up. PSE&G turned off electricity to about 1,000 customers so workers could safely tackle the mess. Most of the power has been restored. Officials aren't saying at this point what caused the power line to come down.